“[H]ow do you save yourself when silent / mouth clamped shut” asks one speaker. “[H]e needs me to explore the words / with my tongue, repeat them with the muscles / of my face” feels like a reply – one of many. There doesn’t seem to be a device or register that León will not explore in this fearless poemario whose ethos, on the hand, is giving witness: the abused child at school; the prisoner pursuing a GED; the massacre of five Amish children. But also giving surprising voice to, literally, the voiceless: “I just wanted to be held” (‘The pistol’s confession’); “They forget the days when they floated / makeshift prayer boats along my face” (‘Monologue of a shallow river’), all the while deploying “the guts of growl and play” – her plural flexing of language. 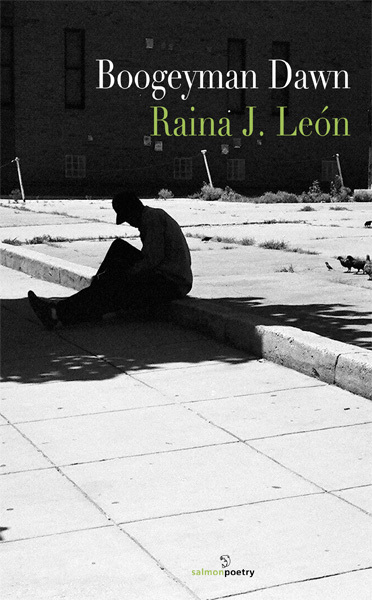 Raina León has crafted an elegant, brooding, and playful peek-around-the-corner view of this often difficult existence through the eyes and thoughts of children, and those whose lives are affected by them – which is all of us. From the haunting dark of premature death to the transformative, ambivalent force of testosterone, Leon hears the proud, colloquial, melanin-informed line that distinguishes familiar and familial, that border that suggests we are all connected, and we are not. A narrative woven in the intimacy of despair as well as the proximity of hope, this is a stunning, imaginative collection. 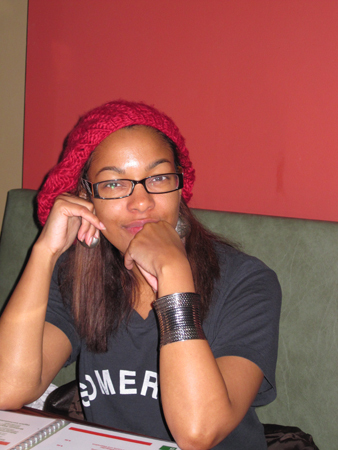 Raina J. León, CantoMundo fellow (2012), Cave Canem graduate fellow (2006) and member of the Carolina African American Writers Collective, has been published in numerous publications such as Natural Bridge, African American Review, OCHO, Black Arts Quarterly, Poem.Memoir.Story, The Packinghouse Review, among others. Her first collection of poetry, Canticle of Idols, was a finalist for both the Cave Canem First Book Poetry Prize (2005) and the Andres Montoya Poetry Prize (2006). Boogeyman Dawn (2013) was a finalist for the Naomi Long Magdett Poetry Prize (May 2010). She co-founded The Acentos Review (June 2008), an international quarterly online review fostering the work of Latina and Latino artists and writers. She is currently an assistant professor in the Single Subject Credential Program-English at Saint Mary’s College of California.